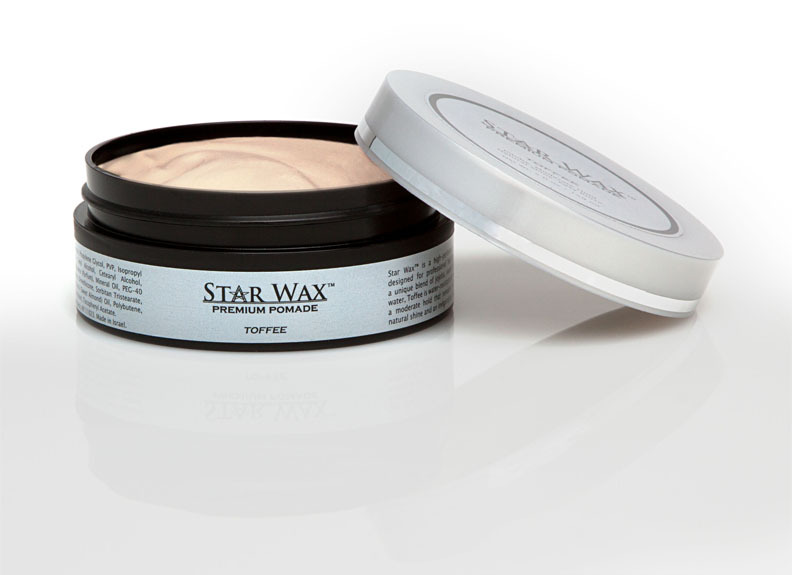 Star Wax™ Toffee is our interpretation of a moderate hold, natural shine pomade. 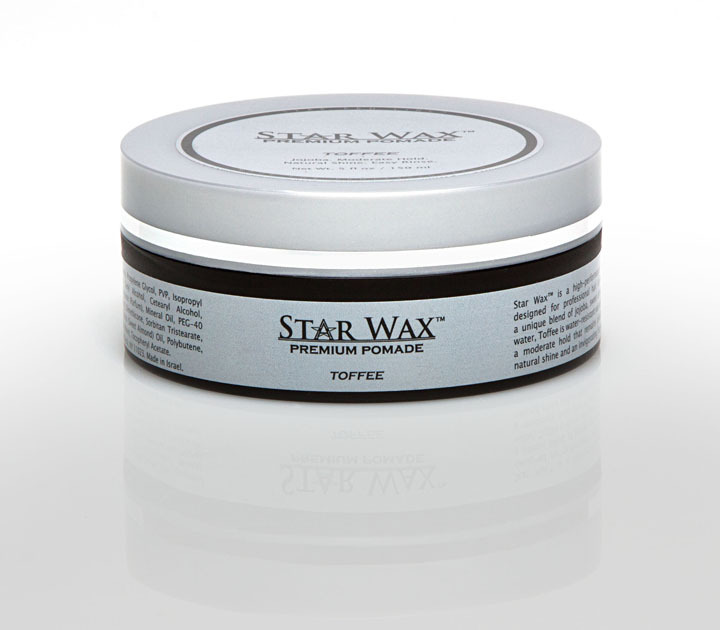 Toffee contains carefully selected polymers combined with unique natural moisturizers including jojoba, sweet almond, and Dead Sea water, resulting in a distinctive consistency that strikes just the right balance of hold and shine. This intricate blend has been refined multiple times to ensure its compatibility with a wide variety of hair types. 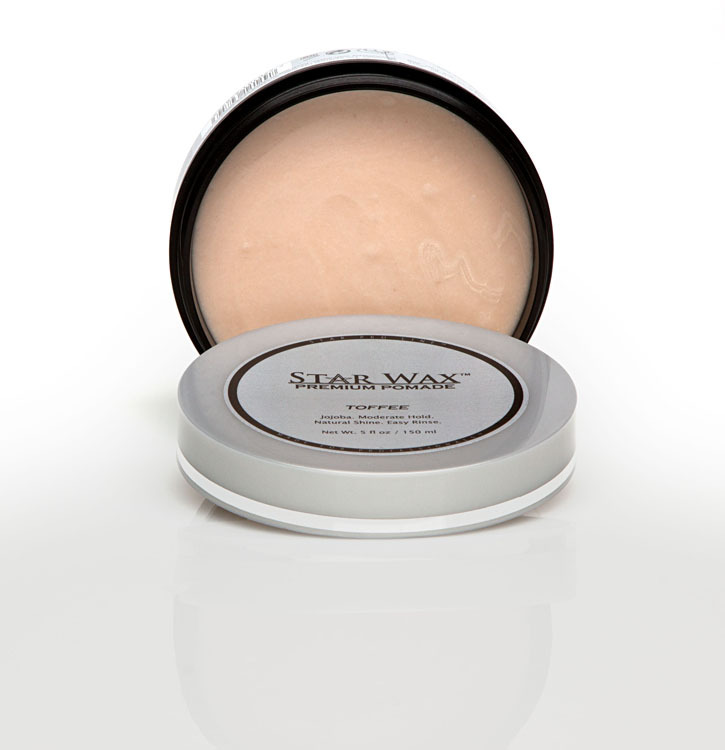 Toffee has been formulated to be slightly water-resistant yet easy to rinse. At the same time, it maintains outstanding pliability since the compound is so easy to manipulate. We designed the formula with a paraben-free preservative system, left out harmful short-chain alcohols, and enriched it with Vitamin E for its superior antioxidant properties. 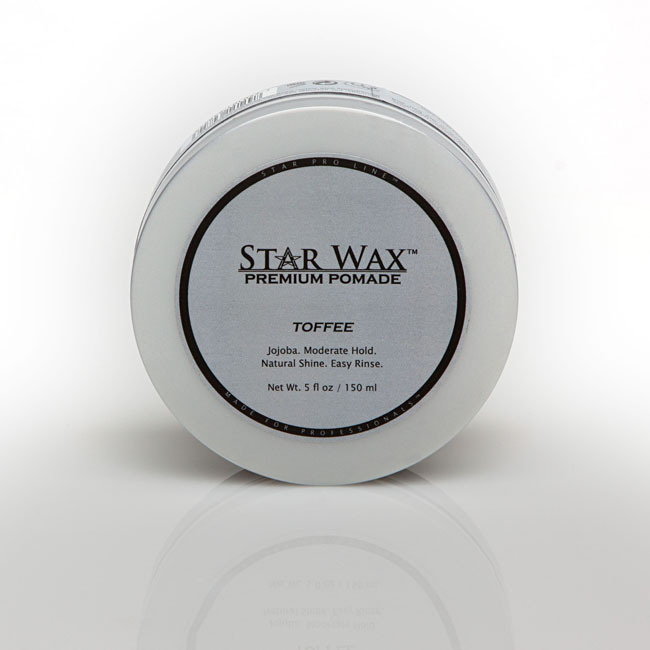 Star Wax Toffee features an invigorating, memorable fragrance. Ingredients: Water (Aqua), Glyceryl Stearate, Propylene Glycol, PVP, Isopropyl Myristate, PEG-40 Stearate, Sorbitol, Cetyl Alcohol, Cetearyl Alcohol, Simmondsia Chinensis Oil, Fragrance (Parfum), Mineral Oil, PEG-40 Hydrogenated Castor Oil, Phenoxyethanol, Dimethicone, Sorbitan Tristearate, DMDM Hydantoin, Prunus Amygdalus Dulcis Oil, Polybutene, Triethylene Glycol, Maris Aqua, Tocopheryl Acetate.